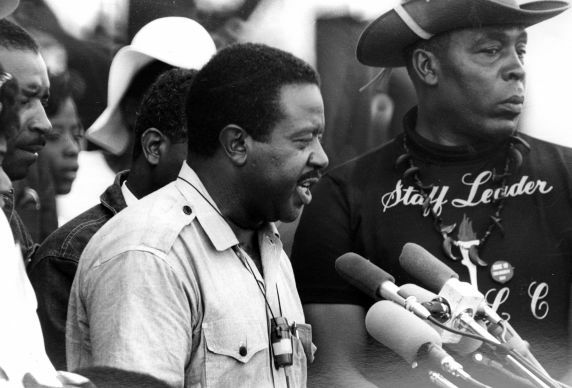 Reverend Ralph Abernathy, president of the Southern Christian Leadership Conference, addresses the crowds outside of the Lincoln Memorial during the Poor People's Campaign. A key figure in the Poor People's Campaign from its inception, Rev. Abernathy would later be jailed for 20 days for refusing to comply with orders to evacuate Resurrection City.